Happy Valentine’s Day! 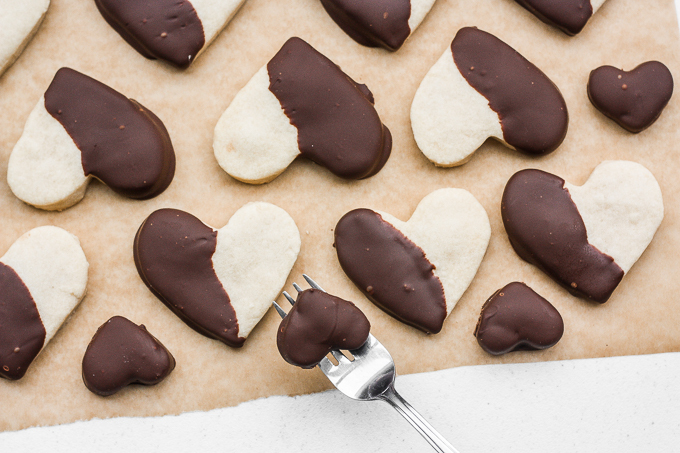 Celebrate love this year with these adorable chocolate-dipped shortbread heart cookies. 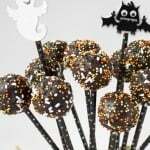 They are sure to bring a smile onto your hunny’s or friends’ faces. So, if you haven’t already noticed, I am kind of obsessed with shortbread. 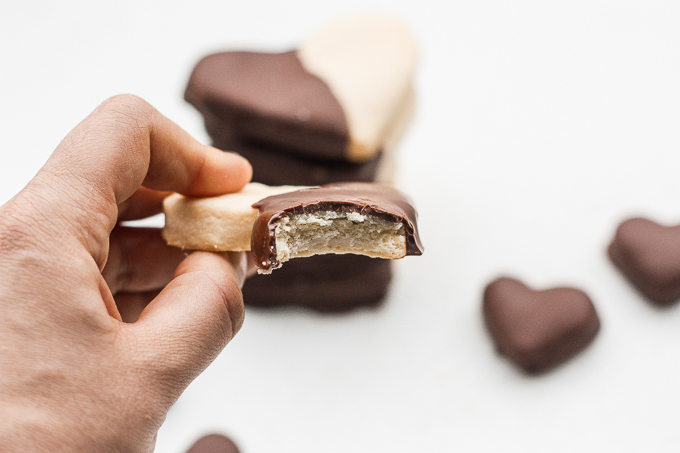 You may remember my raspberry and white chocolate shortbread cookies, or my jam-filled thumbprint cookies with almond glaze, but this year we are changing things up by adding some milk chocolate to the mix! 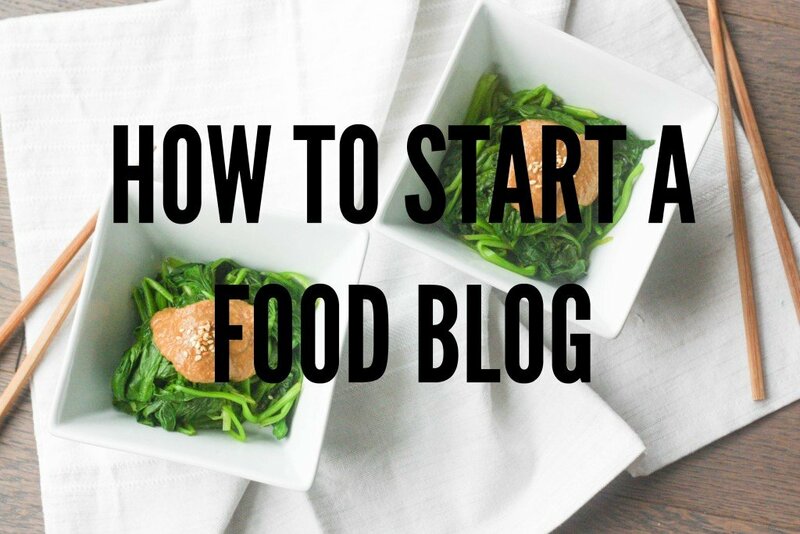 I may be so obsessed because it is soo easy to make. Shortbread consists of only 5 basic ingredients: butter, Confectioner’s sugar (aka icing sugar), flour, vanilla extract and a pinch of salt. And it only takes a few simple steps to put together. Even the most novice of bakers can get this one right! I like to dip just half of these cookies into chocolate, but you can dip the whole thing in. I made an assortment of both large cookies and small ones, and prefer to dip the small ones fully in chocolate, so that’s exactly what I did! The key to getting a perfect layer of chocolate is all in the way that you melt the chocolate. It may sound like an easy thing to melt chocolate, and it is. But you have to be careful to do it right, otherwise it can turn dry and crumbly. Not the smooth consistency that we are looking for! on the stove — the proper technique is to melt the chocolate over low heat. What you will need to do is bring 2 inches of water to a low simmer in a saucepan. If using a big chunk of chocolate (instead of chocolate chips), first break your chocolate into smaller chunks and place in a heatproof bowl. Place the bowl on the mouth of the pot. Make sure that there is a gap between the bottom of the bowl and the water. Add some oil, and stir the chocolate as it melts. Your chocolate should melt within a few minutes. in the microwave — the easier way to melt chocolate is in the microwave. Place the chocolate and oil into a microwave safe bowl and microwave for 30-45 seconds until melted. Stir chocolate together until completely smooth. So what are you waiting for? 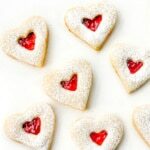 Get creative this Valentine’s Day and make a batch of these adorable cookies. 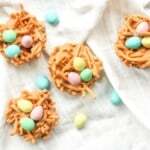 Or don’t limit yourself to one holiday, make these any other time of year, just use a different shaped cookie cutter (or stick to heart-shaped because they are so cute!). 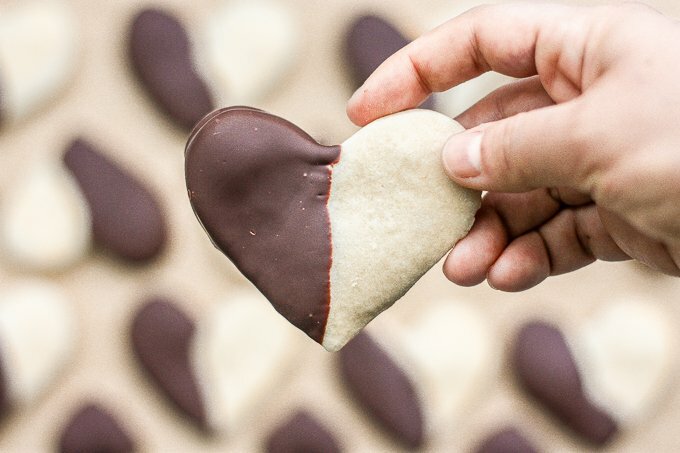 Celebrate love this Valentine’s Day with adorable chocolate-dipped shortbread heart cookies for your hunny. Try and just have one! 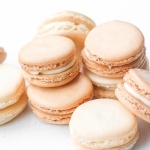 Cream the butter and sugar together for a couple of minutes using a stand mixer or hand mixer on medium speed. Add the vanilla and salt and continue to beat on medium until fully incorporated. Add the flour gradually until your mixture has formed a dough. Sprinkle some flour onto a clean surface and roll out the dough until it i roughly 1/4 inch thick. 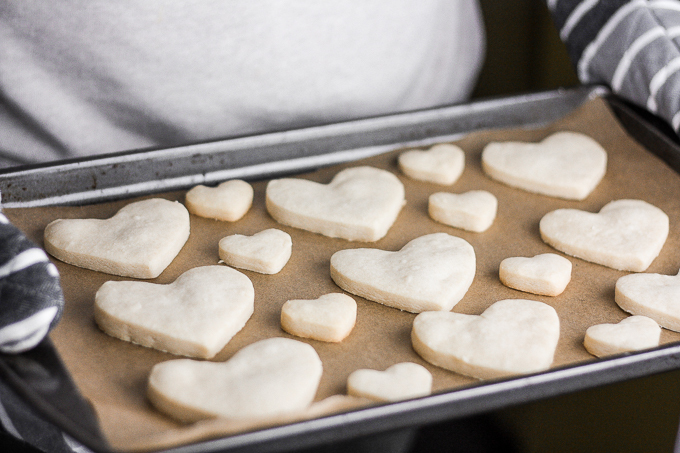 Cut out your cookie shapes with a heart-shaped cookie cutter. Place cookies on baking tray 1-inch apart and place tray in the refrigerator to chill while the oven is preheating. Bake the cookies 10-12 minutes or until bottoms are lightly browned. Allow cookies to cool completely on a cooling rack. Once the cookies are cooled, break up the chocolate into smaller chunks and melt with oil. Stir until smooth. Dip the cookies halfway into the chocolate and, if desired, sprinkle with assorted sprinkles. 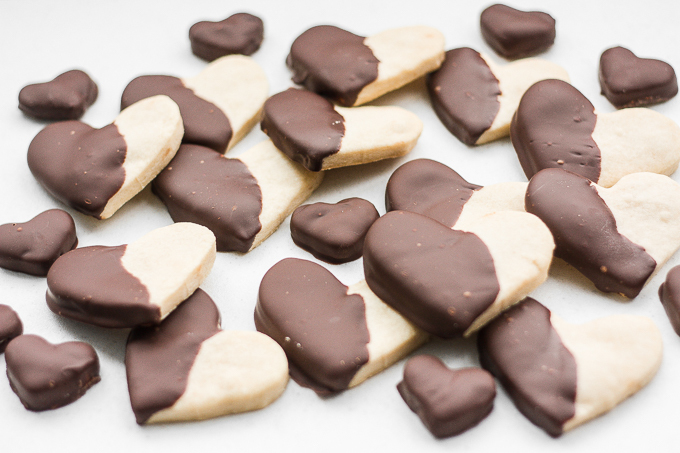 Place cookies on parchment paper and allow chocolate to set completely in the refrigerator. The first way to melt chocolate is on the stove over low heat. First, bring 2 inches of water to a low simmer in a saucepan. If using a big chunk of chocolate (instead of chocolate chips), break your chocolate into smaller chunks and place in a heatproof bowl. Place the bowl on the mouth of the pot. Make sure that there is a gap between the bottom of the bowl and the water. Add some oil, and stir the chocolate as it melts. Your chocolate should melt within a few minutes. The second way to melt chocolate (and the easier way) is in the microwave. Place the chocolate and oil into a microwave safe bowl and microwave for 30-45 seconds until melted. Stir chocolate together until completely smooth. These are so cute! I particularly love how you did multiple sizes which makes them perfect for all appetites! How amazingly cute are these cookies!! My kids are going to love making these!! 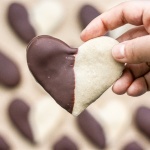 These are the perfect little treats for Valentine’s day! I love that they are dipped in chocolate. 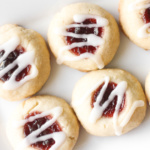 Shortbread cookies are fantastic and are perfect for any occasion. My daughters would lick the bowl clean. Thee would be perfect for Valentine’s Day, Mother’s Day, or any occasion in between. These are super cute! Perfect for V Day or Christmas – a couple of red and green sprinkles on top and done! 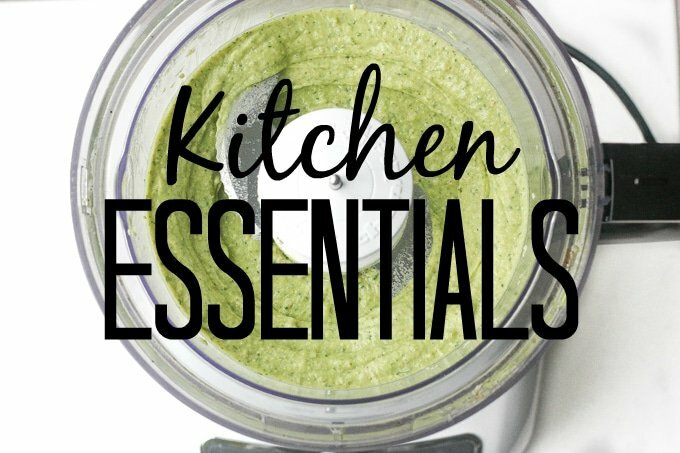 Love how easy this recipe is and how few ingredients are needed! Vanilla and chocolate is always a winner! Thanks! So true, just add in some sprinkles and you can make these for any occasion! These are adorable! The chocolate dip is just the right amount of sassing it up without making things complicated. A recipe a cookie pro or novice can enjoy. 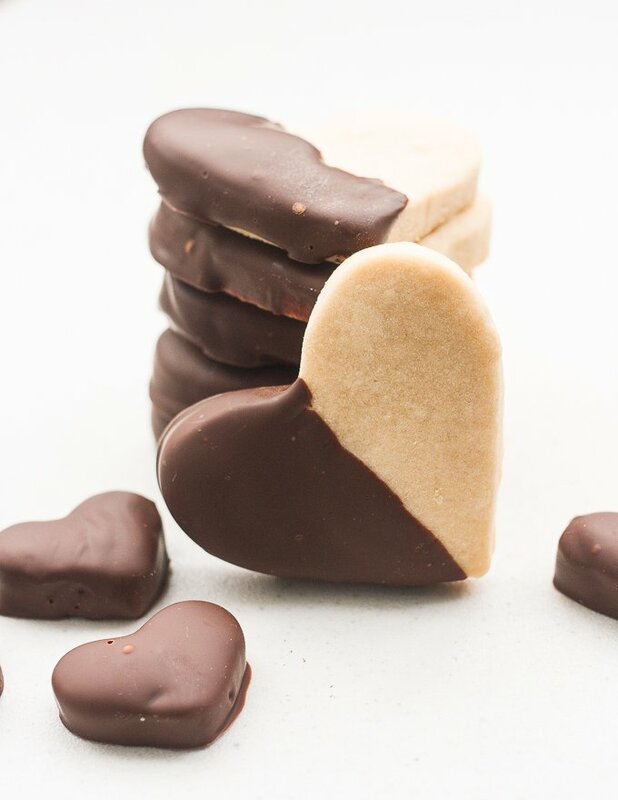 A basic shortbread cookie is delicious and making them heart shaped and dip them into chocolate is just perfect for Valentine’s day or any day!